American DJ and producer, based in Chicago, Illinois, USA. Born: 13 May 1962 in Chicago, Illinois, USA. Pioneer, Icon, Mogul, and Renaissance man are all words that describe Louis Burns a/k/a Lil Louis. An international Artist, Producer, Songwriter, DJ, Author and Director, Lil Louis is credited as being the Founding Father of House Music. As the son of the late great Blues artist Bobby Sims, music became essential in Louis’s adolescent life when at age 8 he begin to play the drums and bass. In 1974, while working at a party organized by his mother to unite Chicago gangs, Louis was asked to play after the DJ fell ill. The adulation from the crowd birthed the 12-year-old’s career as a DJ, and by many accounts, the birth of House music. Shortly after, Louis began DJing at adult nightclubs. It was during a police raid at the River’s Edge club, that Louis was given his now renowned stage name “Lil Louis” from a riled, witty police officer. Louis was the first in Chicago to regularly play Disco. A feat that earned him awe and ire. Subsequently, he was fired from every club he worked at during the first years of his career. At 16, Louis decided to venture into entrepreneurship and opened the first of many of his successful Chicago nightclubs. Over time his uniquely mastered art of DJing in which he told a musical story, grew ‘record’ historic crowds. In 1977, Louis organized the world’s first “Rave.” Being the “lab rat” of the world’s first record pool, Louis is also credited for “breaking” more records than any other Chicago DJ. In the mid 70s, he took mixing to another level, by pioneering “Edits,” a tool that planted the seed of House Music. Shortly after Disco was declared dead in 1979, Louis bought his first drum machine and began to make his own music. Initially, he deemed his tracks as merely a marketing tool, reserved strictly for his club goers. His first official release was “How I Feel b/w Frequency,” on Dance Mania, followed by “Video Clash,” a pivotal record in House Music. In 1987, Lil Louis released one of the most important House records of all time, “French Kiss” which topped charts around the world and sold over 6 million copies, making Louis the Top Selling Dance Artist in history. Later releasing two albums with Sony and Polygram “From The Mind of Lil Louis” (Platinum) which featured “French Kiss,” “I Called You” and “Blackout”, and “Journey with the Lonely” (Gold), which contained the hits “Club Lonely” and “Saved My Life.”Throughout his career, Louis has produced and written/co-written for many prominent artists including Jay-Z, Lil Kim, Babyface, Meshell N’degeocello, GrooveTheory / Amel Larieux, Donna Summers, Basement Jaxx, Louie Vega, as well as produced for soundtracks including “Jason’s Lyrics” and “Woo.” In 2009, Louis published his first book entitled “A Man’s Diary”- a true story of a good man’s search for a good woman, written from his secret diaries that recounts every girl he’s ever dated. The book was transformed into a theatrical play in 2010 that featured Louis acting as himself, receiving stellar reviews. 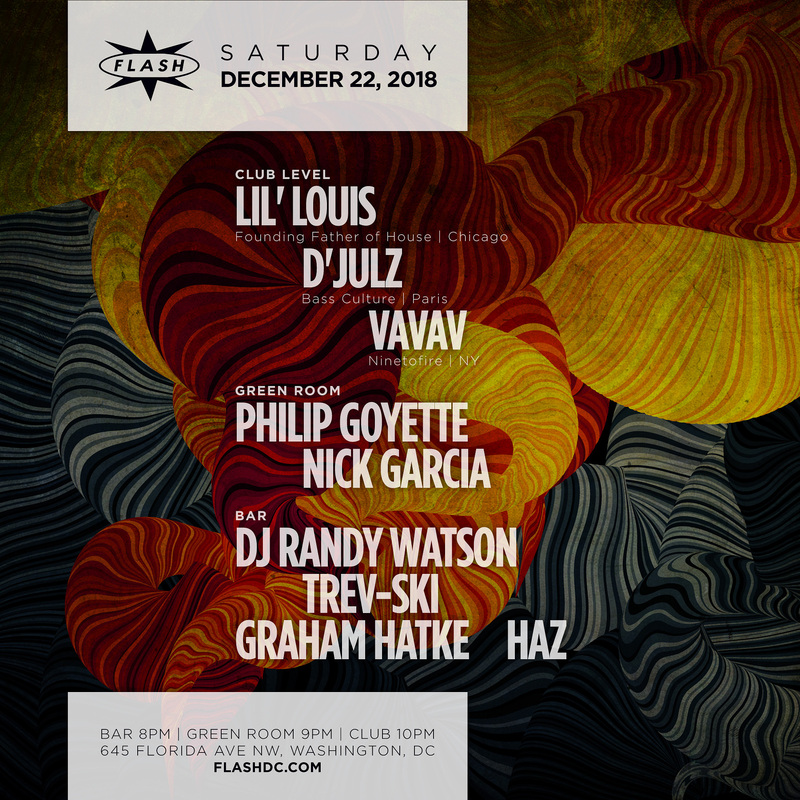 In January 2012, Louis announced his latest body of work, a film entitled “The House That Chicago Built”, the true story of the history of House music from its birth in Chicago through its entire evolution to becoming the World’s No. 1 genre of music. This epic groundbreaking film is directed and told by the only one who was there from the beginning in Chicago, —Lil Louis. The real story of House Music has never been told, until now, and features 100 of the world’s top and most influential DJ’s and House music pioneers.